Enjoy an incredibly safe, fast and affordable snorkeling adventure. Avoid the crowds and sleep in; this tour leaves at 11:30 am! If you want to enjoy seeing abundant marine life and have fun in the clear water at Molokini but would rather not spend the entire day out there, this tour is perfect for you. Since the tour leaves later in the morning, you avoid all the large tour boats. Typically you have the crater to yourself! 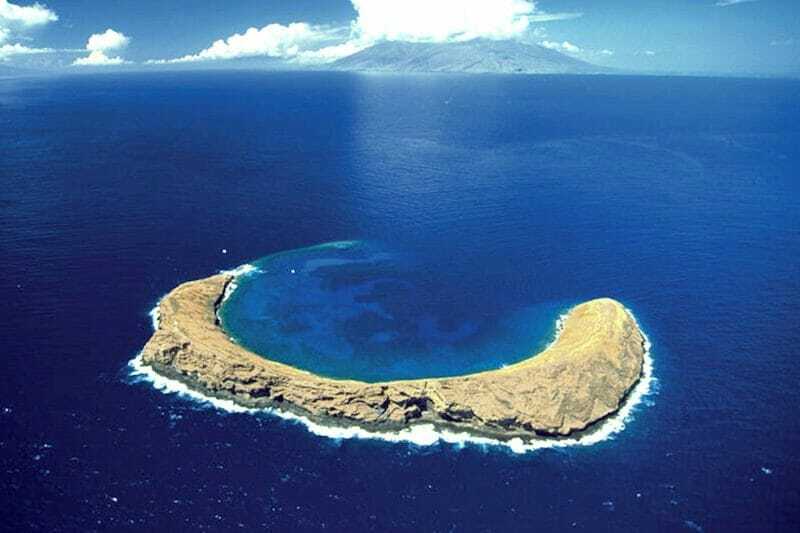 Molokini is a partially-submerged, crescent-shaped volcanic crater. It is located between Kaho'olawe and Maui. 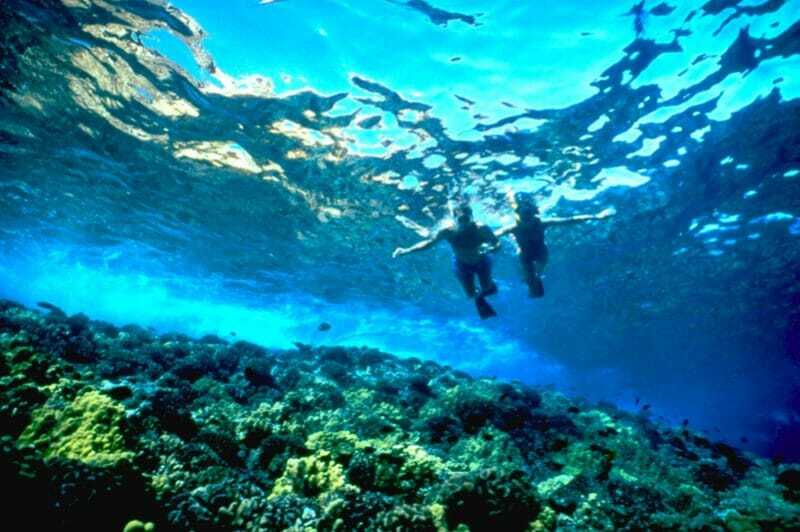 You will snorkel the outer and inner reef of Molokini depending on the weather conditions (see important note below). You will find tropical fish almost everywhere. Awesome visibility, shafts of radiant light, steep drop-offs and towering cliffs make this snorkeling destination extremely unique. Our powerful rafts will get you to the crater in about fifteen minutes. You will be briefed and equipped with our top-of-the-line snorkeling gear. And enjoy more than an hour of thrilling snorkel time at this stunning location. A spectacular and popular drift is near the outer reef, which is about three feet in depth at certain points, but then suddenly drops off to about 200 feet. As you glide over this reef you feel like you are flying. This area of the crater may remind you of an abyss because the wall eventually plunges to depths of about 300 feet to 400 feet. Important note: The Hawaiian trade winds, responsible for our lovely weather year round also can make for choppy seas. Occasionally, the trade winds are quite strong - in that case, we'll stay on the backside of the crater, sheltered from the wind for crystal clear serene water. In very rare cases, the wind may be too strong to visit Molokini and a favorable, shoreline alternative will be selected. Not to worry, in this rare case there are so many other stunning snorkeling spots, you will not be disappointed. Since the rafts are very fast with a shallow draft, you'll be able to access spots the big boats can't get to. We did the afternoon Molokini express and we were not disappointed! Captain Tim and Spencer made the trip super fun and enjoyable! We were the only boat at the crater, and we were able to go around the whole thing. The snorkeling was super good, we saw lots of fish and really cool corals. I would highly recommend 2 Hour Molokini Express! Great experience! This was a fantastic trip. We have been to Molokini before on a boat with food and a second dive site but wanted to do a quick trip and snorkel. We took the Molokini Express with Captain Toby and Spencer. There were great guides - (It was fun to be on the boat with a fellow U of Florida Gator). There were only 7 of us and since we were the only boat we got to drift from one side of Molokini to the other which was fantastic and saw much more diversity in fish. We saw a great variety of fish including a blowfish and two eels which we did not see in our last dive. Anyway, the Tradewinds were coming in but Captain Toby did a great job and we had a blast enjoying the ride.